When I was in college, I worked for the Boston chapter of a nonprofit organization called AIESEC. Our mission was to foster international and cultural understanding by finding short-term jobs in our local area for members from other countries. One of my responsibilities was running a fundraiser. We sold gift baskets to parents of undergraduate students at Boston University. The parents gave these baskets full of fruit and snacks to their kids as an encouraging care package right before Spring finals. I was only 18 and very inexperienced the first time I ran it. Through a combination of hustle and luck, the fundraiser was a huge success. I was much smarter the second year. We made much less money, but the program was far more successful. We scrapped the program entirely by my third year, and we were happy to do it. Why step away from a successful program? It's all about trade-offs. The gift basket program was pretty simple on the surface. We sent a direct mail letter to the parents of all undergraduate students at Boston University. The parents were offered a chance to buy a gift basket for their student right before Spring finals. We fulfilled the orders and kept the profit. Operationally, it was a lot for a college freshman to manage. Keep in mind this happened prior to the internet's rise in popularity. Most people didn't even have email yet. The direct mail piece had to be written, copied, and sent to the post office so it could be mailed out to more than 10,000 recipients. We had to buy address labels from the University, which required a mountain of red tape. We saved a ton of money by making the gift baskets ourselves. I bought all the supplies in bulk at Sam's Club and then gathered volunteers to assemble the baskets. When an order came in, we sent the student a post card letting them know their parents had purchased a gift basket for them. We had an on-campus office, so we set-up pick up dates and times when students could pick up their gift. This was a lot cheaper than mailing gift baskets to each recipient. Financially, it was a huge success. The fundraiser paid for our entire annual operating budget. Operationally, there were a few drawbacks. First, it took a ton of time. I spent untold hours on the project, but I also had to get other people to volunteer their time to help me out. This time commitment took us all away from our core mission of getting local companies to hire our members from other countries for short-term job assignments (up to 18 months). Second, I had to deal with a lot of customer service headaches. Some students didn't bother to come pick up their gift baskets. We instituted a calling campaign to remind students to pick up their gift baskets, but that took up a lot of extra time. There were still plenty of students who didn't pick theirs up. This led to a lot of calls from upset parents. They didn't understand (or care) that it was their kid's responsibility to pick up the gift basket. They didn't understand (or care) that we couldn't deliver it and we also couldn't hold pick-up hours indefinitely because we all had finals too. These parents were really angry to hear we didn't offer refunds because it was a nonprofit fundraiser. Our direct mail piece stated this explicitly, but it didn't matter. This was my first lesson in the old axiom, "Customers don't read the fine print." I realized I could solve all of these problems by outsourcing the entire program. There were companies that specialized in this sort of thing, and they handled everything from sending the direct mail piece to order fulfillment. Best of all, they shipped the orders directly to each student so there would be no issues with delivery. The trade-off was there was no way that we'd make as much money. The margin we got running it ourselves was significantly better than we got from the outsourcer. The time spent on running the fundraiser could be re-directed towards fulfilling our mission. In fact, we used our time wisely and wound up among the Top 10% of US Chapters in terms of jobs raised that year. We also avoided a significant risk. You see, if enough parents complained to the University about poor customer service from our in-house gift basket program, the University would shut the program down. So, by improving service through a professionally-run program, we mitigated the risk of losing the program entirely. The outsourcing plan worked beautifully. Parents and students were happy and complaints fell to almost zero. (The outsourcer handled the handful of tiny issues that did happen.) And, we still made some money, though not as much as the year before. Redirecting saved time towards our core mission worked really well in Year 2. So well, in fact, that we no longer needed the fundraiser by Year 3. We had raised more than enough money to cover our operating budget through a combination of raising jobs (companies paid us a fee) and corporate sponsorships. These activities were all a core part of our mission while the gift baskets never were. Frances Frei and Anne Morriss wrote an outstanding book called Uncommon Service in 2012. The book details how businesses must choose to do poorly in some areas so they can excel in areas their customers really care about. I could immediately relate to the trade-offs discussed in the book. It reminded me that revenue isn't everything, especially if that revenue comes with an opportunity cost. You've heard the heady numbers. For example, a 2014 NewVoiceMedia study revealed that U.S. businesses lose $41 billion per year due to poor customer service. You see that number and think, "Wow! Let's get on this customer service thing!" Your executives aren't as excited. They like the idea of good customer service. They're just reluctant to invest in improving it. Things like creating a customer service vision, implementing a more useful survey, or training employees cost time, money, and resources. New flash - three things executives don't like spending are time, money, and resources. So, how can you get your executives' attention? General statistics won't do it. 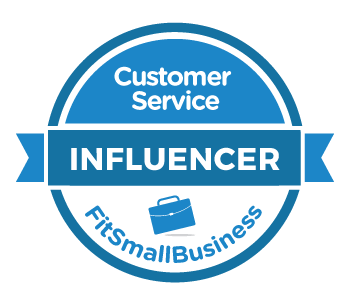 You need to put some real numbers on how customer service is affecting your business. Here are 13 ways you can calculate the true cost of customer service. Your executives are much more likely to listen if you can convincingly show them that investing in better customer service will generate more revenue. Repeat Business. Start by identifying your churn rate (the percent of customers who leave). Use your Voice of Customer Program to estimate how many leave due to poor service. Calculate the lost revenue. Average Order Value (AOV). This statistic works great in environments like retail where service has a direct impact on sales. Determine the average value of a single order. Identify specific ways that improved service could increase that number. Calculate the additional revenue you could gain. Sales Per Hour. I like this metric even better than AOV for situations where hourly employees are generating sales. You pay employees by the hour, so why not calculate how much revenue they generate per hour? Determine the current rate, identify factors that will improve it, and calculate the potential revenue gain. Lifetime Value. A customer who spends an average of $50 may not be impressive. But, what if they spent $50 every other week and could reasonably be expected to remain a customer for ten years? That customer is suddenly worth $13,000 to your business. Calculate the average lifetime value for your customers and you'll see exactly how important they are. Returns. Customer service can prevent products from being returned due to customer error. Better customer education can lead to better customer satisfaction with your product. Estimate the percentage of your returns that could have been prevented. Multiple this percentage by the dollar value of your annual returns. This calculation, known as preventable returns, represents the potential saved revenue due to improved service. Lost Sales. Poor customer service can cost you sales in a number of ways. Rude employees and long lines might cause customers to abandon a planned purchases. A phantom stockout (where the item is in stock, but can't be found) can also cause customers to leave empty-handed. Calculate the revenue lost to these problems and you might have a case for investing in service. It stands to reason that better service will reduce costs. The trick is showing your executives exactly how this happens in your business. Here are a few examples. Try to see if any are relevant to your business. Service Discounts. Companies often give customers freebies or discounts to compensate for poor service. For example, a restaurant might offer a free dessert when a meal is poorly cooked. Calculate the cost of these discounts and estimate the potential savings you could achieve by reducing the problems that cause them. Employee Attrition. Customer service employees don't like to play for a losing team. Turnover often improves when employees feel they are empowered to help their customers. Calculate the cost of turnover (including recruitment, training, and lost productivity costs). Estimate the savings you could achieve from reducing turnover by a reasonable amount. You'll need to know your labor cost per contact for the next few examples. This is your employees' fully loaded salaries (including taxes and benefits) divided by their average contacts per hour. For example, if you pay a customer service agent $15 per hour (including taxes and benefits) and they handle an average of 10 calls per hour, then your cost per contact is $1.50. Contact Reduction. Identify the top reasons why customers contact you. Determine whether there's a problem you can solve that would prevent customers from needing help. Estimate the number of contacts that could be reduced by solving that problem and calculate the potential savings by multiplying the number of contacts saved by your cost per contact. First Contact Resolution (FCR). Determine the percentage of issues that are resolved on the first contact. (Here's a handy guide from Oracle.) Improving FCR means reducing wasteful contacts. Set a target for FCR improvement and use your cost per contact to calculate the projected savings. Escalation Rate. Complex contacts often get escalated from a less expensive source to a more expensive source. For example, escalating an issue from chat to phone costs extra money. Start by identifying the number of escalations for a specific time period (week, month, quarter, etc.). Next, multiply this figure times your cost per contact for the more expensive channel. Finally, estimate the potential savings you could achieve from reducing escalations by a reasonable amount. You can also acquire more new customers through better customer service. See if either of these examples will work for your business. Referrals. Track the number of new customers you gain via referrals from existing customers. (You can also use a Net Promoter Score survey to gauge your customers' likelihood to refer.) Calculate the value of these new customers using Average Lifetime Value or a similar statistic. Estimate the revenue gain from improving your referral rate. Online Rating. Your business's ratings on online review sites like Yelp and Trip Advisor directly correlate to new customers. One study estimated that a one-star increase in a restaurant's Yelp rating leads to increased revenue of 5 - 9 percent. You can put together a business case for improvement by making some reasonable assumptions about the value of enhancing your company's online reputation. Check out this case study on sharing KPIs with executives. Leave a question in the comment box and I'll do my best to answer it. You may also contact me directly with your questions about performing these calculations. Finally, this post is part of an on-going series about the connection between operational excellence and customer service. You can read the other posts here. The 36-room hotel faced a perfect storm of problems. It was normally a stopover for cross country travelers, but a winter storm had shut down the interstate. Many people altered their plans and decided to wait out the storm at the hotel. The little hotel was suddenly sold out. To make matters worse, the hotel's reservation system went down. This meant the front desk agent didn't know which rooms were vacant and which were not. She felt completely stuck when she checked some guests into a room that was already occupied and it looked like every other room in the hotel was reserved. She couldn't send these guests back out in the storm, but she didn't think she could accommodate them. Meanwhile, there was a growing line of restless and weary guests waiting to check-in. Almost any business faces a moment like this when operations go haywire and cause big customer service headaches. It's crucial that you know what to do in these situations. Imagine you're the front desk agent at this hotel. You're trying to accommodate an angry couple you inadvertently checked-in to an occupied room. There's a growing line of restless guests behind them waiting for service. The phone's ringing off the hook. What is the most important thing for you to do in that moment? The front desk agent's number one task should have been to do a room check. She needed to get an accurate list of which rooms were occupied and which were not. She needed to find a vacant room for her guests. She risked checking more people into occupied rooms without that list. She need to know whether the hotel was truly sold out or had vacant rooms. It's imperative that you get a grip on the most important thing when service hits the fan. It doesn't do any good to panic and spin your wheels. In a retail store with a huge line, the most important thing might be taking a moment to organize a line so people aren't crowding the registers. You can even use a few secret tricks to make the line feel shorter. A contact center facing a huge spike in contacts due to a service outage might update it's hold message, automated email responses, website, and social media accounts to advise customers about the delay. This will give customers information they need and possibly prevent a lot of phone calls. I was once dining at a restaurant when the power went out. The most important thing at that moment was safety. The staff cleverly deployed extra candles throughout the restaurant and made sure all of the walkways were clear. Servers escorted guests to the restrooms and supplied them with flashlights. Lines get long. Emergencies happen. You need to get a grip or it will get worse. It's amazing how many companies deal with the same issues over and over again, but don't learn from them. This wasn't the first time that bad weather had shut down the interstate and unexpectedly filled up the hotel. It would likely happen again. So, what could the hotel learn from this experience so they could be better prepared the next time? For example, they needed a procedure for manually keeping track of rooms when their reservation system went down. (This isn't difficult in a 36-room hotel.) The employee could have remained cool, calm, and collected if she had a good handle on the operations. Think about other situations where a problem is likely to happen again. A contact center might get a huge spike in calls when marketing launches a new promotion without telling anyone. It's annoying to the contact center manager that nobody in marketing bothered to give her a heads-up. But, it's foolish to expect anything different the next time around unless the contact center manager has a better plan. Here's how you should conduct your after-action-review. Identify the root cause of the problem. Determine what you can do to fix it. You can save a lot of grief by being proactive at the first sign of trouble. The challenge is recognizing that first sign. At the hotel, it wasn't the computer system going down, the sudden flood of reservations, or the road closures. It was the weather forecast. They knew about the potential storm days in advance. They should have started making preparations for the possibility that they'd suddenly sell out, lose power, or worse. This might include proactively confirming reservations, testing emergency procedures, and scheduling extra staff. Think about things that you can do to be proactive. Identify a signal that trouble may lie ahead. Create a procedure to handle it. Test the procedure to make sure it works. That storm cost the hotel more than a few angry guests. The beauty of tying customer service to operations is you can attach real dollars to the situation. Service Discounts. Many rooms had to be discounted due to customer service issues. Lost Revenue. The hotel may have had vacant rooms that could have been sold to guests. Repeat Business. The hotel risked losing repeat guests due to the service failures. 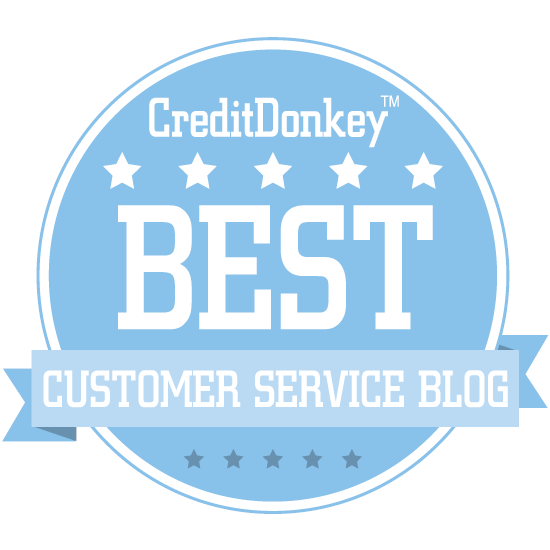 This post is the second in an ongoing series on the connection between customer service and operations. You can read the first post to get caught up. You can subscribe to this blog via email so you don't miss an installment. Next week, I'll take a more in-depth look at how poor customer service can cost your company real money.